Locked by: IgnorantBliss Reason: old thread, old project Replies: 64 (Who? ), Viewed: 74498 times. After a lot work I made my first playable microphone, but some bugs need to fix and more options need added. ├ How add more grid to object? ├ Problem with modified window! Seeing as Makeyne is from Brazil, the "whatever" is more likely Portugese, but I think the point was not what language the menus are in but if it works or not. Besides, if you had bothered to download it instead of giving your 'feedback' on the picture, you would see that the menus are translated for the English version of the game. Makeyne: I'm going to test it out now, give me a little bit and I'll report back what I find. Last edited by Motoki : 17th Apr 2005 at 10:37 PM. Did you download it? There is English. Why don't you people try downloading on something for once instead of commenting on a picture. 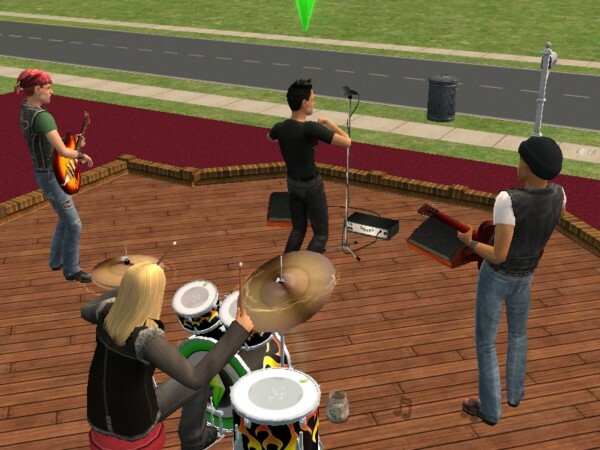 why isent this in the downloads? Because he's trying to test it and it isn't a finished download and there's not a beta testing section right now. He needs the help of other people to test it, so please stop playing moderator and either help out or move along. 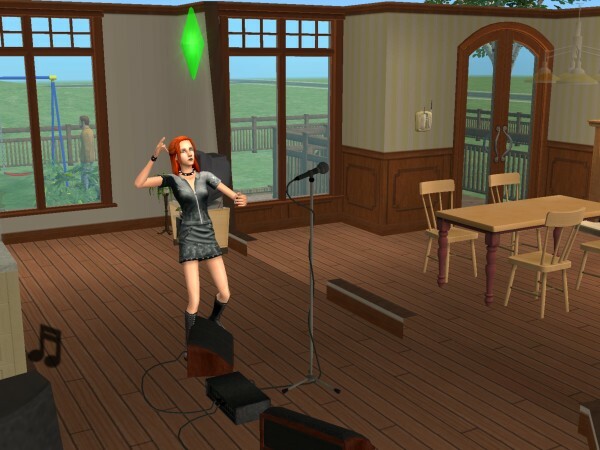 Makeyne: I tried it and the Pratice Speech and Practice Romance works really well but the Play Rap is a little strange because the sim doesn't stand in front of the microphone, but they move to the side. I can post a picture if you need me to. Last edited by Motoki : 17th Apr 2005 at 11:07 PM. did any of you read the thing? "all betas go in the normal download section" or somthing like that. This should be in the Downloads section, so I'm going to move it over there for you. Everbody else, this is exactly why I keep saying try the files before you comment. Give Makeyne time to work on his hack rather than pestering him with questions you could have answered yourselves. Er, ok, maybe I'm not. Is this a request for help, or an item for download? I'm not sure I understand Makeyne's intentions. they put it here asd there is no beta testing section. I'm pretty sure you need the episode since you can't 'freestyle' without it and it looks to be at least partially based on the new instruments in university. lover, I wasn't asking *you*. this is a very cool idea been looking forward to one of these for a while now! I need people that know as fix Play Rap correctly. Add more options as Joke option. Last edited by Makeyne : 17th Apr 2005 at 11:33 PM. That looks great, I will download and test this. well it works, the 'practise speech' and 'practise romance', but like motoki said, when you choose the rap the sim goes to the side. Somebody was able to fix "play rap" option and to include to "play rap for money" option? nice to see another "brazuca" here making modding stuff! I don't know if i can help you with your microphone (i didn't downloaded yet) but i will get it now and take a look at it. If i have an idea i let you know. First, I want to say, thanks for the download. It definately helps with my movie I'm creating. Maybe I'm the oddball out, but I tested it and had no trouble with it. 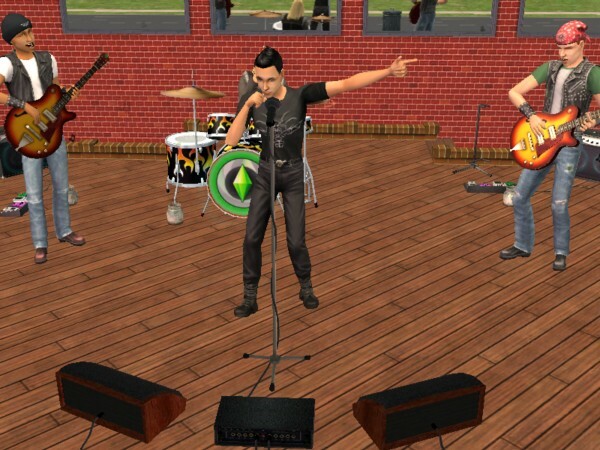 The way I kept my sim right behind the mic, I selected "go to front" and then "play rap". My game hasn't crashed as a result of it *knocks on wood. And just an fyi for anyone who's interested, it is in english *if you have the english version*. Thank you for making this! 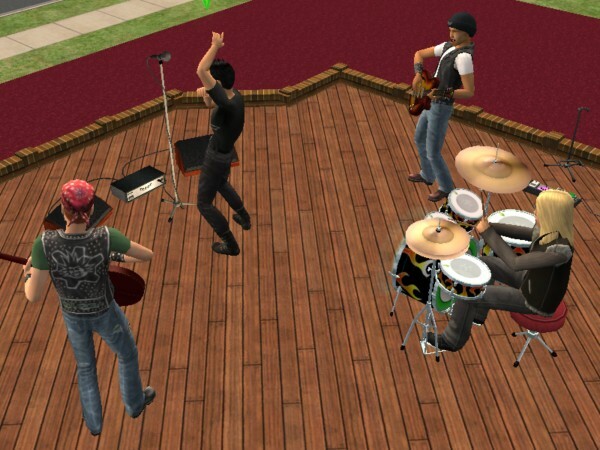 I make movies with the Sims and needed a microphone more for decoration for my bands than anything. *EDIT: I just wanted to say that I couldn't have made my movie Speed of Sound without this microphone. 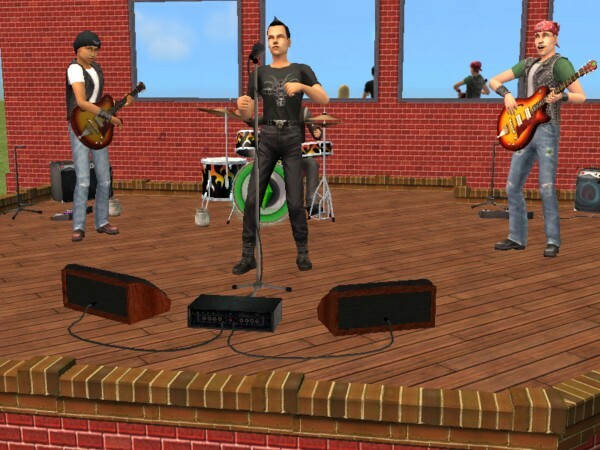 It is very functional and I was able to make my Chris Martin Sim look like he is singing. I've gotten a lot of people asking me where to get the mic so I want to say a HUGE thanks! Last edited by decorgal21572 : 10th Jul 2005 at 8:48 PM.